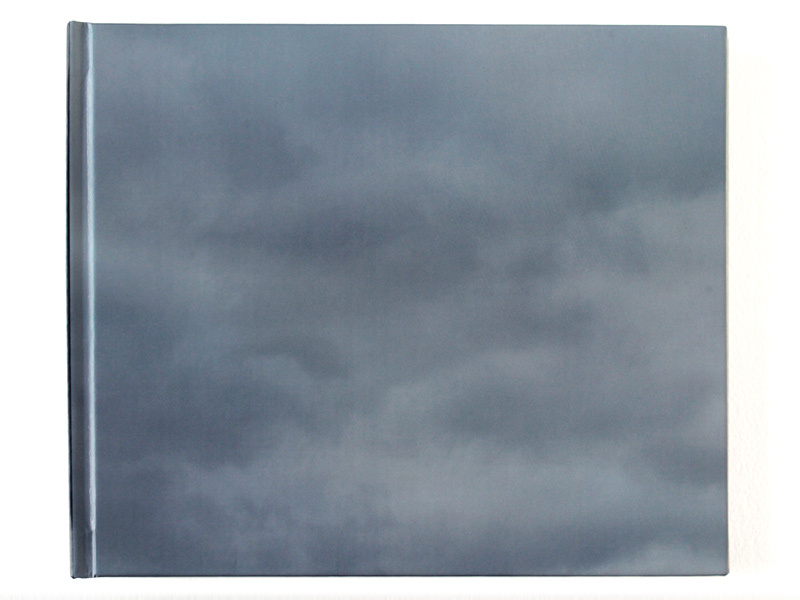 1/100th (Cloudy Sky) - explores ideas of image making and photography using interval exposure. 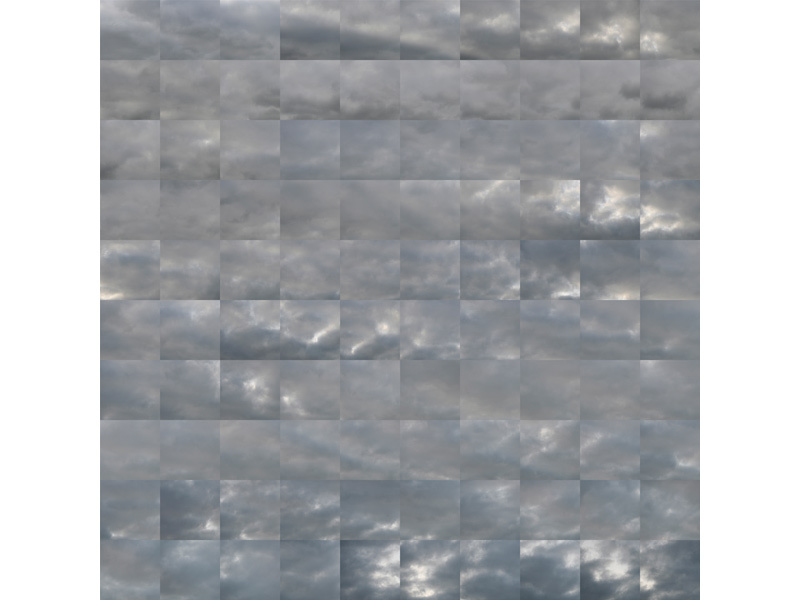 100 images were taken at 1/100th second exposure time to 'capture' one second of sky with the interval shutter (5s) adding another durational element to the image sequence. 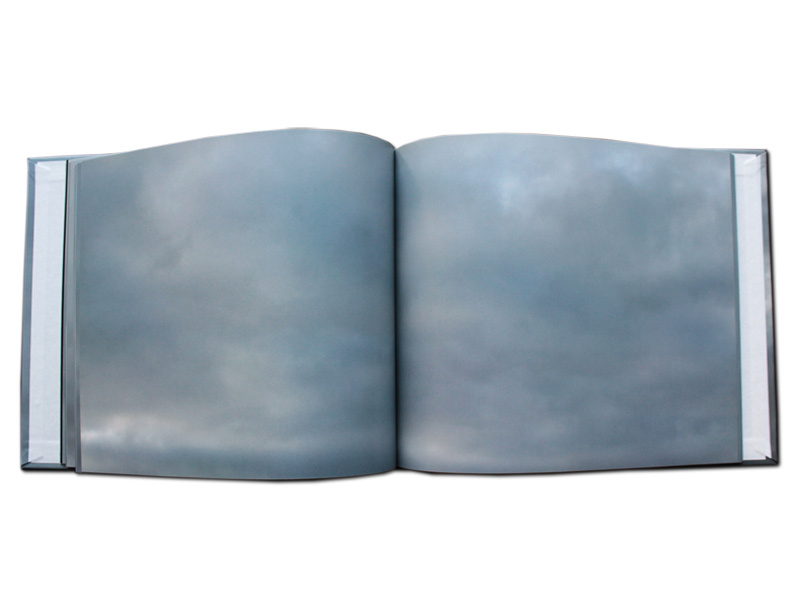 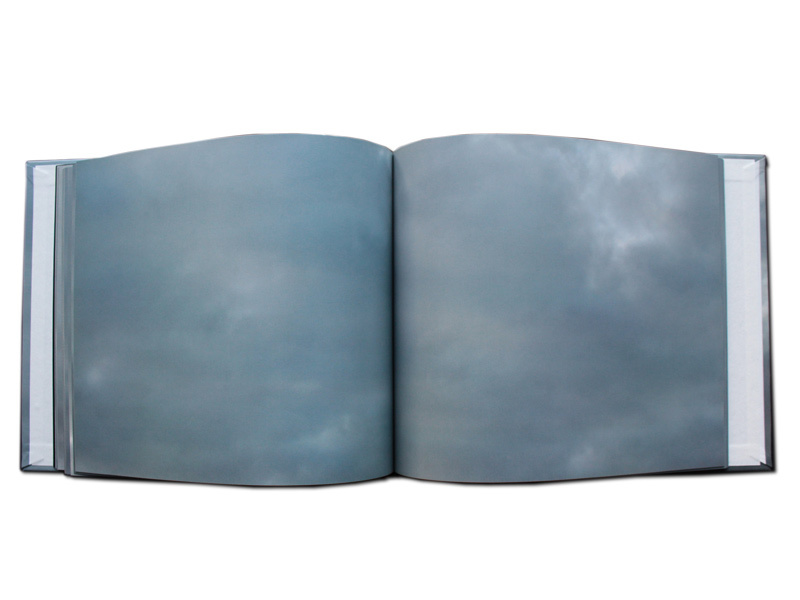 The book format unfolds the narrative of one second of sky in 100 pages.